Some years ago the Managing Director of a communications agency which had recently successfully pitched for business with BP arranged a meeting with the oil company’s legendary CEO John Browne. After a few pleasantries the agency man posed a key question to Browne, “Who, within BP, would be responsible for Brand Management?” he asked. Quick as a flash Browne replied “I will”. What Browne realised was that Brand Management was not some esoteric and highly specialised activity which could be delegated to a Department head and reviewed once a year – on the contrary managing the brand was at the core of what everyone in the corporation did -and it was certainly a prime responsibility of the Chief Executive. Browne knew that the BP brand was far, far more than its elegant new logo and colour scheme and far more, as well, than its petrol stations and its products. In an industry that is dominated by a technological and engineering mindset BP sought to position itself under Browne’s enthusiastic direction as different – in other words, in communications speak, it wanted to differentiate its brand from its competitors and be, as its tagline said, “beyond petroleum”. And crucially Browne also knew that for a truly global enterprise like BP, especially one which included recent acquisitions which themselves had recently been powerful, but very different, brands – like Amoco - an internationally applied and monitored set of BP brand standards was essential. What John Browne understood, and what is a cornerstone of Tesco’s business, is that Brand Management is above all about consistency of delivery of the brand promise – and that the drive for consistency has to come from the top. And whilst consistency applies crucially to all the visible manifestations of the brand, those artefacts that are traditionally seen as being the province of the brand manager like logo design and colour schemes, it is also and crucially about behaviour. In the latter part of my Shell career I argued strongly that the historic tagline “You can be sure of Shell” was not only memorable and distinctive with great historic resonance – but that it also could be, and should be, an internal behaviour benchmark. In other words if you applied the question “Would the man in the street think that this action of Shell’s shows that you can trust them?” and the answer was “Yes” then all other things being equal you should proceed. If the answer was more ambivalent then you should think long and hard about going ahead. Unfortunately my plea fell on stony ground and the tagline itself disappeared completely – a huge missed opportunity. It is important to make a definition clear at this point – when I use the word “brand” it is nearly always interchangeable with the word “reputation”. What John Browne was concerned about was to enhance the reputation of BP and to deliver benefits to all of the corporation’s stakeholders. I will return to this point in a later article in this series but if we accept the convention that “brand” is generally used in marketing whereas “reputation” has a more corporate connotation, which is true, we should not forget that they are two sides of the same coin. So the task of “Managing a brand” is absolutely synonymous with the task of managing corporate reputation. That is why brand management has to be driven from the top and why the Board should spend some time at meetings reviewing brand performance. An excellent way of doing this is to commission regular “Brand tracking” research which will not only tell you your brand’s position relative to your competitors but also allow you to track performance over time. A brand strength measure, which tests your brand’s power to deliver against relevant benchmarks, should be as important as the more conventional financial measures. What cannot be measured cannot be managed - so there needs to be a regular measurement of brand strength the results of which lead, as necessary, to action. Marks and Spencer started with a stall in a market in Leeds in 1884 and from these humble origins they built a national and eventually international business. When their first proper shop opened Michael Marks and Tom Spencer were “hands on” in all aspects of the business – not least customer service. But as they expanded rapidly they needed others to deliver the brand promise of their names. The success story that followed was essentially a brand success story in which meticulous attention to detail delivered consistent customer value. M&S soon discovered that their consumer offer had to be virtually identical in all their outlets and that the key elements of quality, price and appearance had to be specified and controlled. In modern times few brands have specified and “manualised” all aspects of their operation in a more painstakingly detailed way that M&S. The advantages of having clear brand standards manuals are obvious. First the manuals ensure that staffs in all locations know what the brand and visual identity rules are. Secondly it facilitates expansion – M&S operates in more than 30 countries and each new entry is only possible because of the standardisation of much of what they do. And finally, and crucially, if the rules are applied customers are put first because their expectations will always be met. 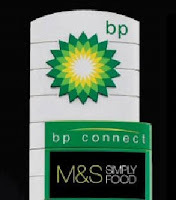 This does not, of course, mean that every outlet has to be identical – an M&S “Simply Food” on a BP petrol station is very different in product range and size from a huge department store in Oxford Street. But the core elements are the same both in respect of the integrity of the operation and in regard to the use of the brand, logos, colours, typefaces and other aspects of design and visual presentation – all of which are tightly specified in a comprehensive manual. The most carefully and clearly defined set of brand standards will only be effective if they are reliably and consistently applied. As we have seen this must involves regular consumer testing to ensure that brand advantages, relative to the competition, are being maintained – but it is also necessary internally to police the application of standards. Companies internal audit systems apply regular, systematic and detailed checks on financial and other performance. A similar process should apply to the brand. When I was “Global Brand Standards Manager” for Shell I was sometimes called a “brand policeman” and I did indeed conduct “brand audits” in Shell’s operating companies. For these audits to be credible – even for them to be welcomed – it was essential that there had previously been “buy in” to the brand standards that were being reviewed. One of the essential requirements for the successful management of any set of design and other brand standards is that those who must apply the standards must see the value of doing so – and the best way to do this is to involve key members of operational teams at an early stage in the development of the system. Global brands by definition operate in a wide range of very different business environments and there will generally be significant cultural variations between regions or countries. The involvement of representatives from around the world at an early stage not only furthers the likelihood of “buy in” but also allows the impact of change to be assessed in all markets. 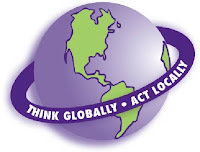 The truism that smart corporations “Think globally but act locally” applies especially to brand management. So although major brand enhancements, such as retail design changes, will be centrally driven it is important that there is an iterative process between the centre and the operating environments both to test the validity of a new design in multiple locations and to ensure that any special culture needs and sensitivities are taken account of early in the design development stage.